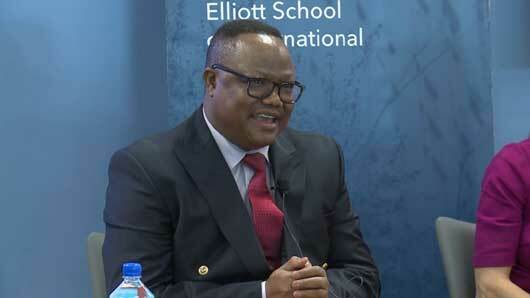 Tanzanian opposition leader and chief whip Tundu Lissu appeared at George Washington University’s Elliott School of International Affairs to talk about the deteriorating political situation in his country. President John Pombe Magufuli has cracked down on the opposition and human rights have taken a turn for the worst. Initially lauded for attempts to crackdown on corruption, Magufuli is now blamed for the political decline in the country that has also seen opponents going missing or assassinated. Below is the video of Lissu’s appearance at Georgetown University.